Let RE/Advantage leverage it's experience with real estate websites, and design a superior public-facing website for your Board or MLS. No matter what the size, we have the experience and creativity to produce stunning results, fully integrated with your membership data from sources such as Avectra, Rapattoni, LPS, REMMS, MarketLinx, and other RETS-compliant databases. If you have a data feed available, we can auto-load all listing and open house information directly into the system, in addition to the importing of your membership and office rosters. Your site can also be personalized to recognize each member and display the information most relevant to their needs. When it comes to delivering a robust public web presence, RE/Advantage delivers! 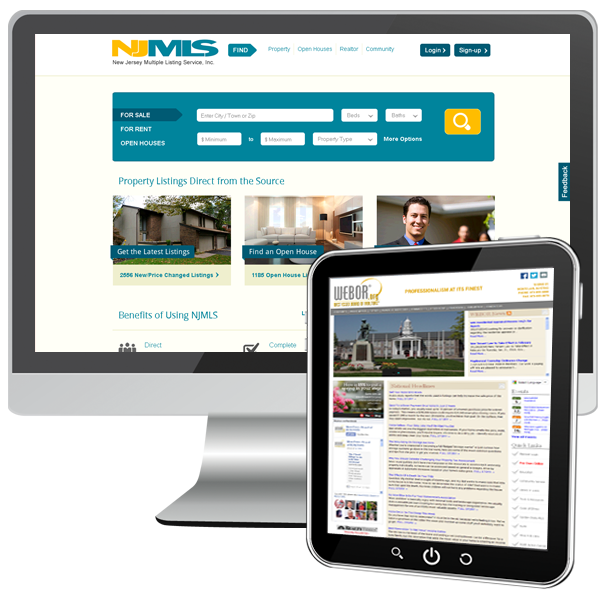 We have over 20 years experience in delivering quality and highly visible websites to Boards and MLS's. We have a team of designers and programmers that understand what it takes to deliver a modular, rapidly deployable, and 100% customizable site to your membership and public.